ScaleHouse is the shared vision of a growing community of creative thinkers—from our Founding Members to our Current Members, and from an all-volunteer Board of Directors to a very small staff of one. Thank you. Profession: Director of Marketing / Arts & Creative Advocate. AKA: Dot Connector. Where you can see my work: ReneMitchellCreative.com. Favorite artists: Willem de Kooning , Ai Weiwei, Cindy Sherman. How I overcome creative block: Traveling with my daughters. Secret weapon: I'm Italian. Why I support ScaleHouse: Art is fundamental to our humanity. ScaleHouse has the opportunity to unite our community in pursuit of creative solutions to real-world challenges. Profession: Artist / Teacher. Where you can see my work: AlexAndSandyAnderson.com. Where I'm from: Kansas, New Jersey, Seattle, San Francisco, Hawaii. Favorite artists: Stephen de Staebler, Toulouse Lautrec, Reiko Brandon. In my sketchbook: Shapes and vessels for jewelry and clay. How I overcome creative block: Go to my studio, clean tools, clear space, and suddenly I'm working on a new idea. Why I support ScaleHouse: With innovation and conversation, ScaleHouse is engaging the community and expanding horizons. Profession: Teacher / Designer / Artist / Entrepreneur. AKA: Creative Swiss Army Knife. Where you can see my work: TouchExplode.com, KielFletcher.net. How I overcome creative block: Get on my bike. Favorite tool of the trade: Instagram. Favorite Instagram accounts: @jerryoftheday, @madebackthen, @Counterprintbooks. Why I support ScaleHouse: A strong arts community requires a constant influx of the contemporary to engage a greater level of conversation. Profession: Artist / Educator / Founder of Atelier 6000 (now Bend Art Center). Where you can see my work: Bend Art Center, High Desert Art League, and my own web site (coming soon). Favorite artists: Richard Diebenkorn, Robert Rauschenberg, Joan Mitchell, Georgia O’Keeffe. In my sketchbook: A resounding dialogue of marks (drawing is my passion). Favorite tool of the trade: Pencil. Why I support ScaleHouse: It is needed to support the expanding reasoning of arts and culture in our region. Profession: Arts Advocate / Writer / Editor. Where you can see my work: RebekahJAltman.com (coming soon). Favorite artists: Kiki Smith, Marina Abramovic, Alvin Ailey. On my creative bucket list: Artist residency in Italy. Secret weapon: Well, it’s a secret, isn’t it? What inspires me: My kids’ utter disregard for rules. Why I support ScaleHouse: Art makes communities more livable, more lively, and more engaged. Profession: Interior Designer. Where you can see my work: MarthaMurrayDesign.com. How I overcome creative block: Take a walk, visit a museum or gallery, have coffee with a smart, creative friend. On my creative bucket list: Gehry Museum in Bilbao, Spain. Favorite tool of the trade: Tape measure. Why I support ScaleHouse: I love creativity and creative people—what better way to bring my passion to others and hang out with amazing, talented people. Profession: Residential Architect. Where you can see my work: ScottGilbride.com. Favorite artists: Tom Waits, Alberto Giacometti, David Byrne. How I overcome creative block: Come back tomorrow. What inspires me: Underdogs, rejection, impossible situations. In my sketchbook: My first novel. Favorite tool of the trade: Ears. 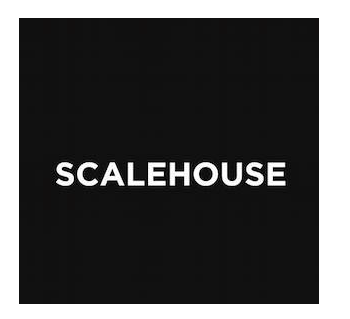 Why I support ScaleHouse: I enjoy the challenge of helping define a young organization, and the rewards of connecting with the creative community. Profession: Retired, but formerly in the architectural and design world. Where I'm from: Salt Lake City, Utah and no, I'm not a Mormon. Three favorite architects: Frank Lloyd Wright, Eichler (Anshen and Allen were the architects on those houses), Frank Gehry. Favorite Films: Harold and Maude, The Hunger, Frost Nixon. Favorite tools of the trade: Building relationships and collaboration. Why I support ScaleHouse: I love helping people think outside the box to discover their own path of what the larger issue of design means to them. Profession: Producer / Creative Strategist. AKA: Help make interesting things happen. Where you can see my work: MakeGoodCreative.com. Favorite tool of the trade: Clipboard. Favorite Instagram accounts: @designmilk, @ericgarcetti, @jr. Favorite artists: Yayoi Kusama, Lin Manuel Miranda, Jenny Holzer. Why I support ScaleHouse: I'm a big believer in bringing people together based on shared interests, cultural curiosity, and creative pursuits. Profession: Advocate for children and the arts. Favorite artists: Mark Knopfler, Johannes Vermeer, Wendell Berry. How I overcome creative block: “WIP!” (Work In Progress). Favorite Print Publications: Vanity Fair, Traditional Home, The Week. Why I support ScaleHouse: To help creativity in all forms to flourish here in Central Oregon, thereby enriching our cultural character as a community in unique and profound ways. ScaleHouse is deeply grateful for the enthusiasm, trust, and financial contributions of our Founding Members, who helped to bring innovative and creative programming to the Bend community. Please join us in thanking these creative pioneers for their support. ScaleHouse membership continues to grow. Meet our current members.